The perfect lawn is difficult to achieve, especially when weeds and undesirable grasses seem more likely to thrive than your grass. 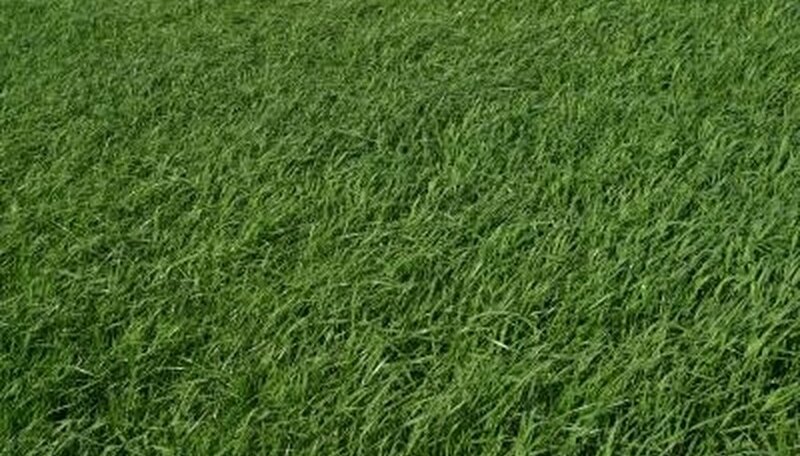 Undesirable grasses may be weeds, but they may also be grasses like tall fescue, which has many of the qualities homeowners want in a grass -- drought-tolerance, for example -- but a patch of it poking through the Kentucky blue grass looks odd. The best way to control undesirable grasses is to maintain a healthy lawn from the beginning. The first step to treating weedy grasses in the lawn or those that aren't necessarily weeds, but are otherwise undesirable, is to identify them. Identification will determine if they are annuals or perennials and will tell you something else about the plant, such as how it spreads. Once a plant has been identified as an annual or a perennial then it's possible to devise a method of control. Grasses spread by seeds or by roots. Quackgrass, for example, spreads by a thick, fleshy root system called rhizomes. Rhizomes spread as far as they can throughout the soil, branching off all over the yard wherever there is room for them. From those deep roots emerge the grasses. Pulling at the grasses in this case may not be effective, as one tiny piece of rhizome left in the ground will regenerate. Other grasses release their seed along with other plants in the garden and appear the following season. Controlling infestations is often difficult. Hand pulling weeds or undesirable grasses may be one of the most effective control methods, but may not remove the entire root system. Perennial grasses can be killed with a nonselective herbicide containing the chemical glyposate in mid-summer when they're actively growing. Nonselective herbicides kill whatever they come into contact with, and some healthy, desirable grass will likely be killed in the process of killing undesirable grass. Glyphosate should kill the weeds in two to four weeks. Annual grasses, such as crabgrass, can be sprayed with a pre-emergent herbicide before they fully leaf out. If a lawn is severely unhealthy or drought-stressed and weeds had little competition, it may be necessary to start the lawn from scratch by reseeding or laying new sod. Small patches of dead grass and dead weeds can be scraped clean with a garden rake or yard rake and seeded. Areas that have been treated with glyphosate are safe to reseed or sod seven days after the herbicide application, according to the Iowa State University Extension.